Soulfull started back in 2011 as a breakfast producing company. The brand positions itself as “Deliciously Healthy”, taking healthy as one of the main concern when they produce their breakfast. Using Ragi as one of their ingredients, Soulfull reduced the use of water and hence saving the planet Earth by doing so. They take care of both your health and the planet’s sustainability! 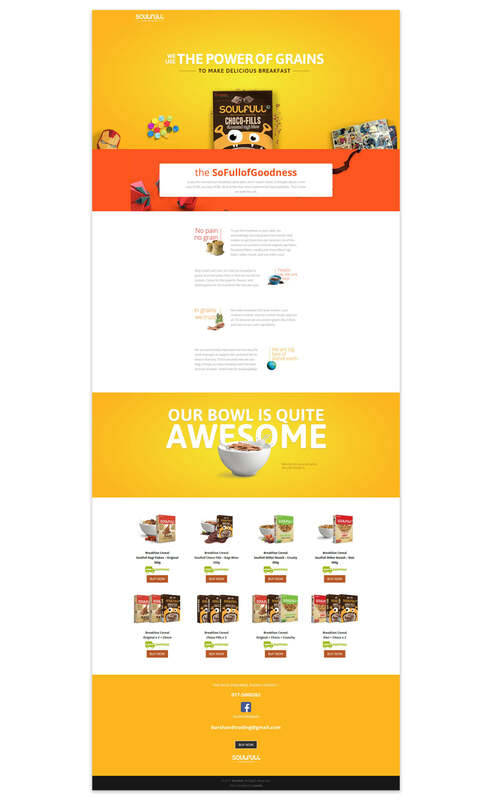 Jumix develops the landing page for them to sell their products online, bringing Malaysian the all new healthy breakfast.